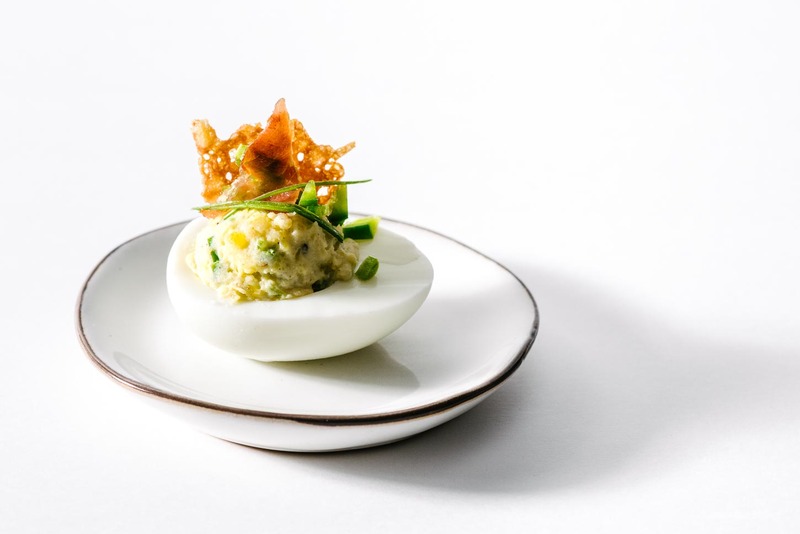 I love a good deviled egg, do you too? I love deviled eggs! They’re the perfect retro snack/appetizer/anytime food. To be honest, I’m not sure why people make deviled eggs around Easter. I think it has something to do with the fact that they have a lot of decorated boiled eggs lying around? But do people even eat the eggs that they decorate? Personally, I have no problem just boiling up a dozen eggs specifically for deviled eggs because, hello deliciousness! 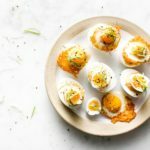 Here’s a quick round up of the deviled eggs recipes that have been on I am a Food Blog throughout the years. Triple Deviled Eggs Recipe: A Japanese take on deviled eggs with three eggs in one! Regular chicken eggs, tobiko, and ikura. I love the crunch of the tobiko, the creaminess of kewpie mayo, and the popping saltiness of the ikura. 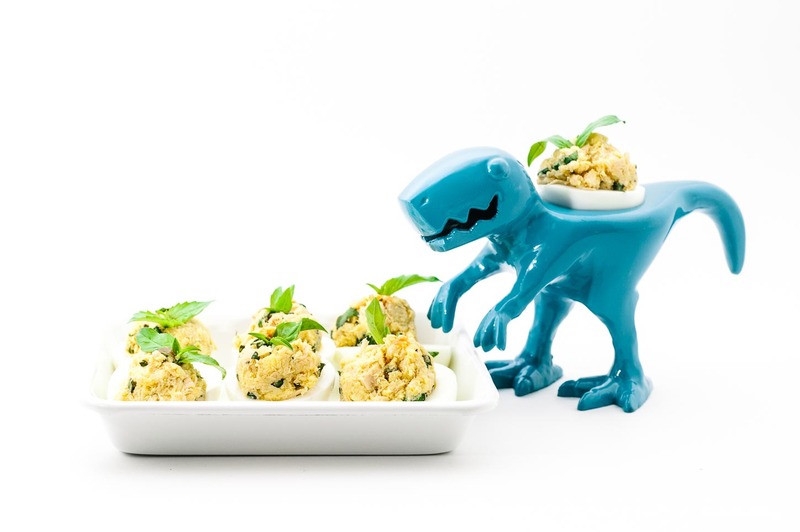 Crab Rangoon Deviled Eggs Recipe: Do you love crab rangoon as much as I do? Devil egg it up: crab, cream cheese, green onions, and a bit of sriracha for kick. Jalapeño Popper Deviled Eggs Recipe: All the awesome flavors of jalapeño poppers in a deviled egg. They look super fancy with the cheese crisps but are so easy to make. Spicy Korean Deviled Eggs Recipe: I heard you like eggs on your eggs? 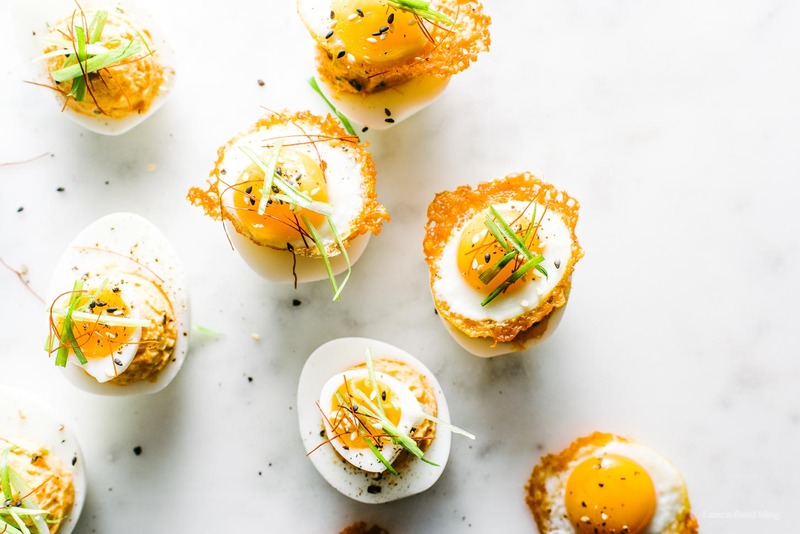 These little guys are spiced up with Korean gochujang and topped with quail eggs for a bit of extra flair. What timing. My wife asked me to make deviled eggs this weekend and I just read your blog. I think I will try the Crab Rangoon eggs. A devilled egg week sounds awesome! I adore deviled eggs. Love this roundup! I’ve got to try the crab rangoon ones. 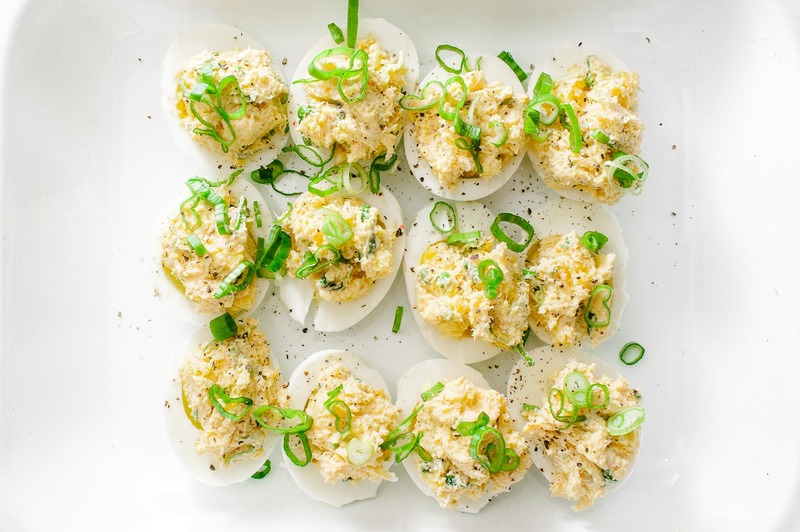 These spicy Korean deviled eggs look amazing ! 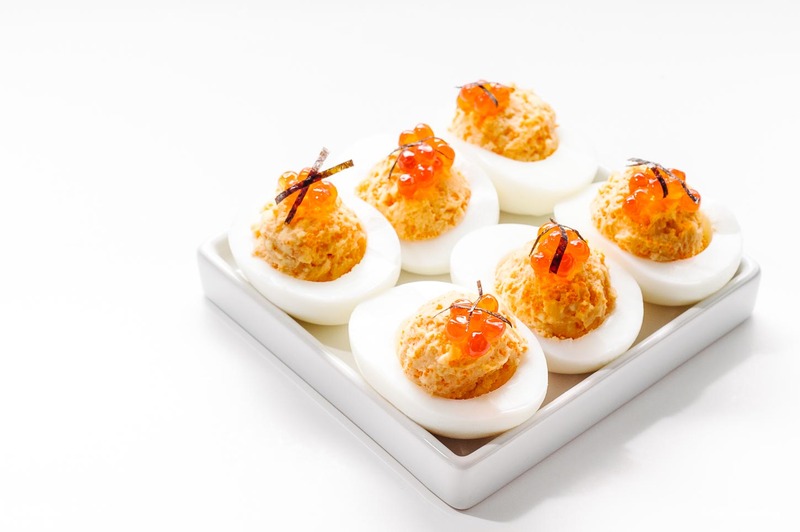 A very interesting variation from the traditional deviled eggs. 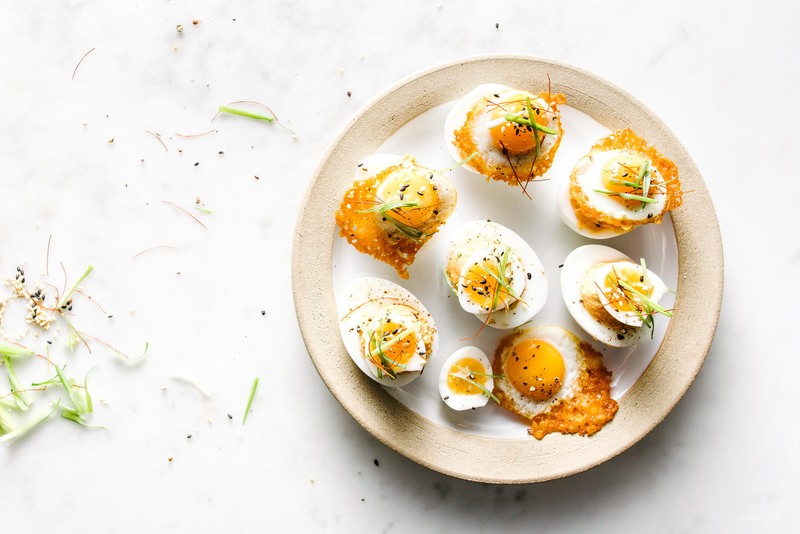 YES to more deviled egg recipes. Five is too few, five hundred is too many. Somewhere in the middle would be perfect! !